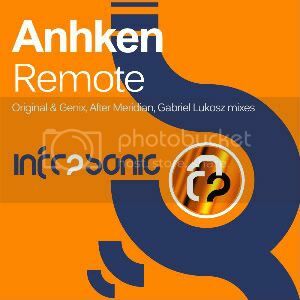 Romanian producer Anhken joins the Infrasonic team with his first single after regular inclusion on a number of previous packages with electro driven hit Remote for release number 9. Heading the package is Passion resident Genix who makes his debut on the InfraProgressive imprint. After work on the majority of the worlds most respected labels Genix has become a house hold name with his solid tech driven style finding favour with Djs and producers worldwide. Again the guy does things the only way he knows how and the extra melody he makes for a real treat. Essential. Two more remixes complete the package. The first from another deputy in the shape of After Meridian with there chunky bass driven remix and the second from Gabriel Lukosz with a more house orientated affair for good measure. This release bored me to death. I liked this tune. Nice piano in the breakdown. But do think there something missing.